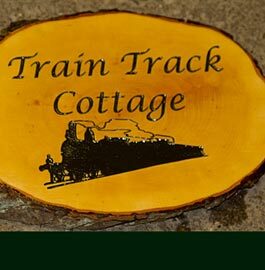 Rustic Wooden House Signs and Rustic Timber Slices. 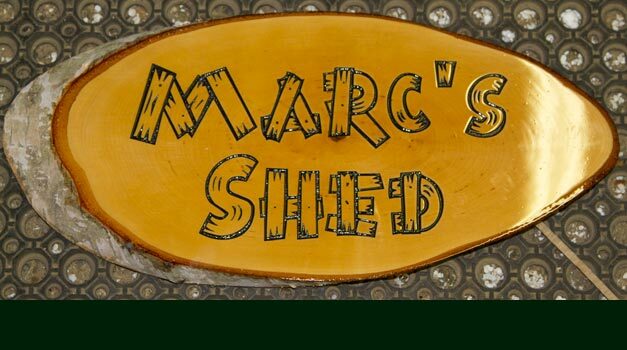 Rustic timber slices make interesting house signs. Each piece of timber is different so each sign is individual. The bark is left on and the whole sign is varnished. We now normally use our long life satin varnish but can leave untreated if you want to use any other finish. They are made in three sizes. 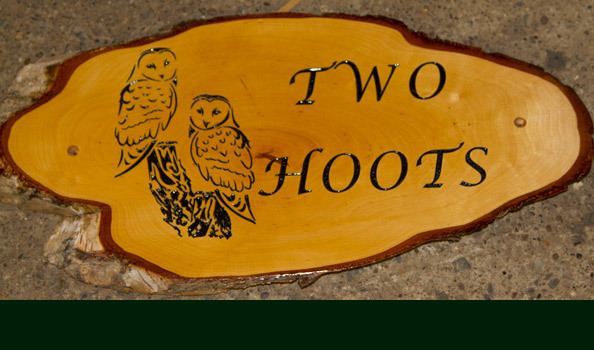 Medium and Large for house signs and Small for house numbers and some name plates. NB all timber slices are a different shape but rarely are they as featured as the one above. 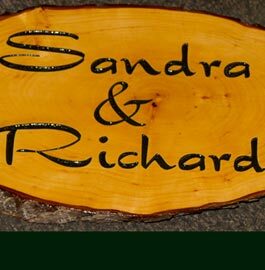 The lettering can either be carved into the wood and painted or we can use tough vinyl lettering. 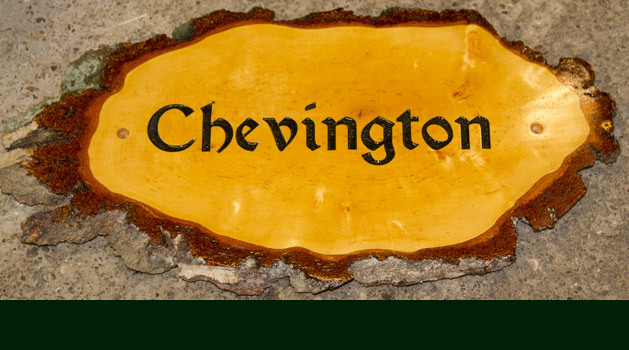 Either way the sign is finished with a commercial long life satin varnish. 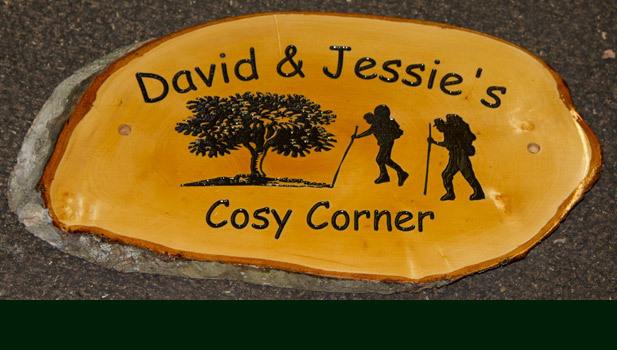 This X-Large rustic sign has been used for a memorial plaque. We can use almost any of the standard images but detailed line drawings will be left lasered und unpainted. As they are usually a dark brown colour anyway, painting is not necessary. Click here to see images we can use on the signs. The lettering can be carved out and are normally painted black. However we have a large variety of other colours - click here. We can also apply vinyl lettering in most colours. For a selection of fonts - CLICK HERE Letter size is normally adjusted to suit the sign, but if you have something particular in mind - just put it on the order form or send us your ideas as a sketch, image or word document. Font - Old English, Customer asked for interesting piece - this time we were able to help. Made in the UK. 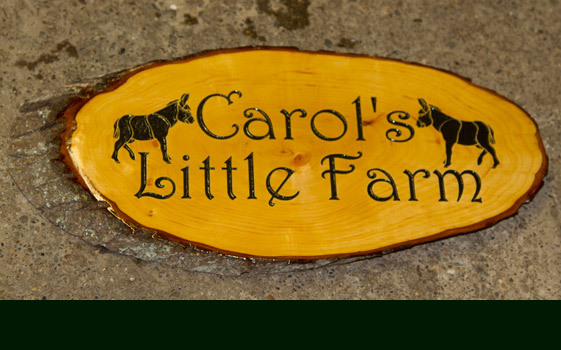 Our team at The Sign Maker looks forward to helping you with your rustic wooden signs.